(VEN) - In 2018, the consumer price index (CPI) rose 3.54 percent compared with 2017, below the four-percent target set by the National Assembly. This was the result of effective coordination in state management of the prices of goods and services. The information released at a meeting held by the Domestic Market Management Team to summarize operations in 2018 showed that the CPI decreased by 0.25 percent in December compared with November thanks to lower prices of various kinds of goods, such as petroleum, pork and gas. According to Nguyen Loc An, Deputy Director of the Ministry of Industry and Trade’s Domestic Market Department, flexible price management based on effective coordination among different ministries and sectors yielded good results in 2018. Petroleum prices are an example. In October, global prices of petroleum products fluctuated, reaching a level of US$86.29 per barrel and creating upward pressure on domestic prices. As petroleum products are essential goods that affect the prices of most other kinds of goods, managing their prices in accordance with global fluctuations while moderating their impact on the economy is a delicate task. Among the measures adopted in 2018 to achieve this goal was halting deductions from the petroleum price stabilization fund and using it to subsidize increases in petroleum prices. This, in turn, allowed for price increases of other kinds of goods according to roadmaps managed by the state. Sugar prices are another example. The Domestic Market Management Team asked the Vietnam Sugar and Sugarcane Association to work with its member companies in order to maintain stable and reasonable prices, and reduce the gap between wholesale and retail prices. The team also proposed exports to China via border crossings. After growing 4.67 percent in June compared with the same month in 2017, the CPI decreased gradually, by 0.29 percent in November and 0.25 percent in December. 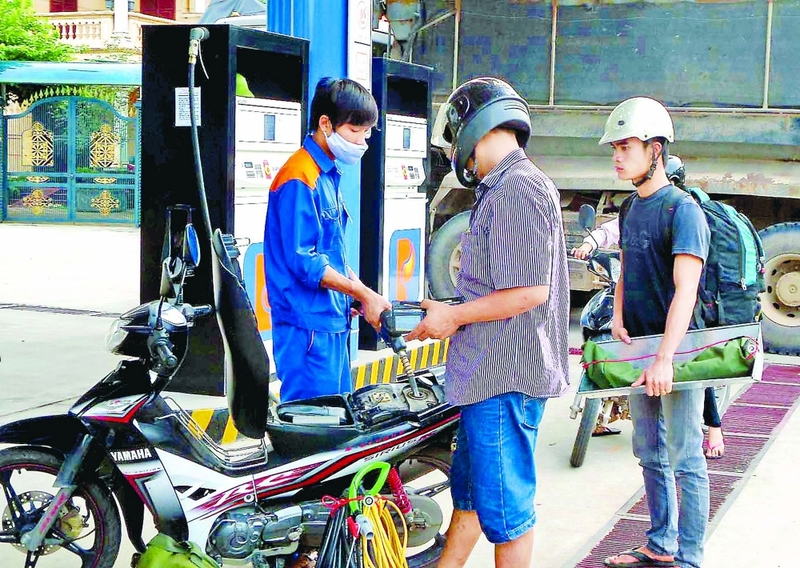 According to Ta Thi Thu Viet, Deputy Director of the Price Statistics Department of the General Statistics Office of Vietnam, prices of goods managed by the state and petroleum products will be major factors affecting the CPI in 2019. In 2019, healthcare service costs will continue to be adjusted based on basic salary levels. Electricity prices will be raised after remaining unchanged for a long time. Petroleum prices will increase due to higher environmental taxes that took effect on January 1, 2019. Increased petroleum prices will affect the prices of other kinds of goods. Changes in supply, demand and prices of fuels and energy products are hard to predict due to the impact of trade relations between major countries and the manufacturing and extraction policies of groups of nations. However, production is expanding, increasing the supply of goods and meeting consumer demand. Ministries, sectors and localities have maintained effective coordination in managing prices of goods, especially those managed by the state. Market stabilization programs have been implemented, especially in peak periods such as holidays. Most localities have devised plans to ensure a sufficient supply of goods and stable prices for the upcoming Lunar New Year (Tet) holiday in February. According to Nguyen Huynh Trang, Deputy Director of the Ho Chi Minh City Department of Industry and Trade, businesses in the city have stockpiled goods valued at more than VND18.42 trillion for sale prior to Tet, with more than VND7.53 trillion worth of goods for sale under market stabilization programs. This is an increase of VND612.7 billion (3.44 percent) compared with goods stockpiled for sale prior to the 2018 Lunar New Year. In 2018, 90 companies participated in the production and distribution of goods under price stabilization programs. They pledged to keep prices stable, not to increase prices in the month prior to and one month after Tet, and to sharply reduce prices on the two days just before Tet. Given the tight government management, the domestic commodity market is expected to remain stable in the first quarter of 2019. However, to achieve the goal of curbing the CPI below four percent as assigned by the National Assembly, ministries, sectors and localities need to maintain effective coordination and take firm management measures from the beginning of the year. Last year was successful in terms of price management despite unfavorable market conditions.